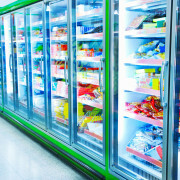 The grocery business is energy intensive and improving efficiency can have a significant impact on the bottom line. Conserve Energy has completed LED lighting upgrades at four Fiesta Foods locations, saving the company over 1.3 million kWh, and reducing their power bill by approximately $79,000, annually. Upgrades completed for Fiesta Foods included interior, exterior and refrigerated case lighting.